Exemplified by the prototypical Seven Countries Study(1) and more recently the large-scale Predimed trial(2), the health benefits of Mediterranean diet rich in extra-virgin olive oil, is associated with numerous health benefits. For example, protection from cardiovascular pathologies, cancer, diabetes and obesity have been linked to consumption of extra-virgin olive oil(3-7). Apart from the healthful, mono- and poly-unsaturated fatty acids, a large body of accumulated evidence has highlighted the beneficial effects of minor constituents of extra-virgin olive oil. For example, the potent antioxidant and anti-inflammatory effects of various phenolic compounds, including oleuropein, hydroxytyrosol and oleocanthal, have been widely investigated. Excitement in the olive phenolic research field followed a landmark publication which highlighted that the throat irritating phenolic compound, oleocanthal, derived from olive oil exhibits potent anti-inflammatory effects, akin to those of the common non-steroidal anti-inflammatory (NSAID) agent, ibuprofen(8). Specifically it was shown that oleocanthal, inhibits the cyclooxygenase (COX)-1 and COX-2 enzymes in a concentration-dependent manner(8). Overall, the findings lead the authors to conclude that regular consumption of extra-virgin olive oil provides a long-term low dose of oleocanthal which may confer beneficial cardiovascular, anticancer and anti-inflammatory effects observed with the classical NSAIDs(8). Indeed, there is now a large body of scientific literature highlighting the biological and molecular effects of oleocanthal and other olive-derived phenolic compounds in models of human disease. However, the total pool of olive-associated phenolics represents a structurally diverse group of compounds which can be derived from the various olive-related matrices. Given these complexities, identification and quantification of olive-associated phenolics has been challenging. Nevertheless, there is ample information describing over 200 olive-associated phenolics. Given that these are not easily searchable and that the potential biological effects and bioactivity of only a few key compounds has been investigated we decided to create the OliveNetTM database. Further, we extended the OliveNetTM database to include all of the individual compounds from the different chemical classes which are currently known, to the best of our current knowledge, to be associated with the various olive matrices. The OliveNetTM database which can be reached at www.mccordresearch.com.au employs a simple and easily searchable web interface. Derived from a systematic analysis of 181 scientific publications, the database describes a total of 676 olive-derived compounds. As shown in figure 3, the 676 compounds are categorised into 13 major classes and 47 subclasses. 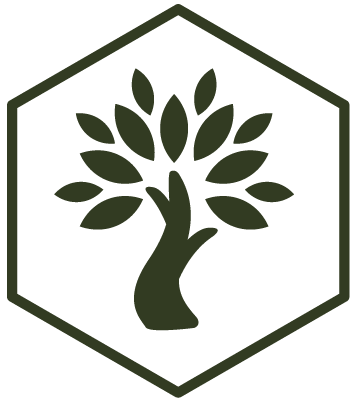 The database is fully referenced and where available contains information related common and scientific IUPAC names, structural and elemental analyses, pharmacological activity derived from appropriate databases, and absolute concentrations in the various olive matrices (fruit, leaf, oil, pomace, and wastewater). Figure: Overall design of the OliveNetTM database. A total of 676 compounds are categorised into 13 classes and 47 subclasses. Network visualization created by Ms Julia Liang. We have created OliveNetTM, a comprehensive database, detailing a total of 676 compounds derived from the various olive matrices. This represents an important new and freely available resource for the scientific community. While this is a valuable platform, we anticipate that there are still many unknown olive-associated compounds, particularly some which may be present in the polar fraction of olive oil. Therefore, we strongly encourage collaborative efforts to continually enhance and improve the OliveNetTM database. [Author]: Dr Tom Karagiannis is head of the Epigenomic Medicine Laboratory and Principal Investigator of the McCord Research Group in Melbourne, Australia. He completed his undergraduate training (BSc [Hons]) and received his PhD from the University of Melbourne. Following 13 years in the Molecular Radiation Biology Laboratory (Peter MaCallum Cancer Centre) under the guidance of Professor Roger Martin, he established the Epigenomic Medicine Laboratory firstly at the Baker IDI Heart and Diabetes Institute and now within the Monash University Central Clinical School at the Alfred Centre. His research is focussed on the molecular mechanisms of action of dietary antioxidants and chromatin modifying compounds, with a special interest in the Mediterranean diet and olive oil. Keys A, Menotti A, Karvonen MJ, Aravanis C, Blackburn H, Buzina R, et al. The diet and 15-year death rate in the seven countries study. Am J Epidemiol. 1986;124(6):903-15. Estruch R, Ros E, Salas-Salvado J, Covas MI, Corella D, Aros F, et al. Primary prevention of cardiovascular disease with a Mediterranean diet. N Engl J Med. 2013;368(14):1279-90. Buckland G, Gonzalez CA. The role of olive oil in disease prevention: a focus on the recent epidemiological evidence from cohort studies and dietary intervention trials. Br J Nutr. 2015;113 Suppl 2:S94-101. Cristina F. Mediterranean diet health benefits may be due to a synergistic combination of phytochemicals and fatty-acids. BMJ. 2005;331(7508):E366. Garcia-Fernandez E, Rico-Cabanas L, Rosgaard N, Estruch R, Bach-Faig A. Mediterranean diet and cardiodiabesity: a review. Nutrients. 2014;6(9):3474-500. Lopez-Huertas E, Fonolla J. Hydroxytyrosol supplementation increases vitamin C levels in vivo. A human volunteer trial. Redox Biol. 2017;11:384-9. Violi F, Loffredo L, Pignatelli P, Angelico F, Bartimoccia S, Nocella C, et al. Extra virgin olive oil use is associated with improved post-prandial blood glucose and LDL cholesterol in healthy subjects. Nutr Diabetes. 2015;5:e172. Beauchamp GK, Keast RS, Morel D, Lin J, Pika J, Han Q, et al. Phytochemistry: ibuprofen-like activity in extra-virgin olive oil. Nature. 2005;437(7055):45-6.